30 YEARS OF SUCCESSFUL PROJECTS! 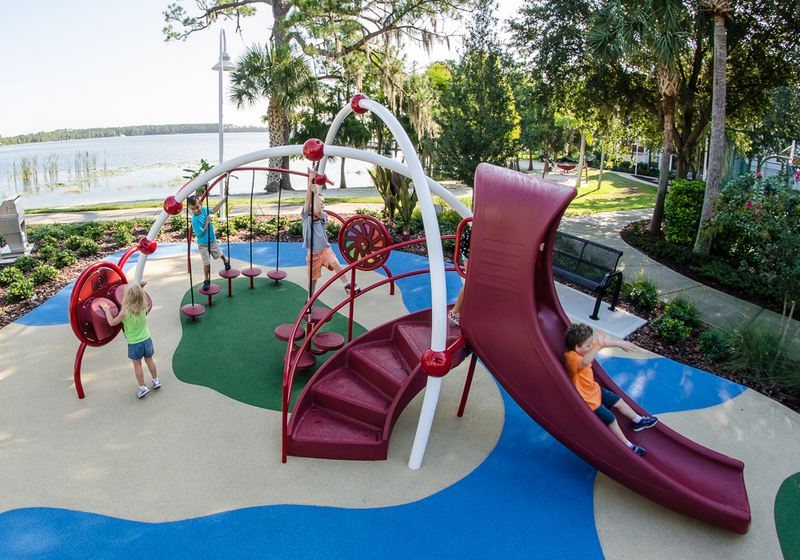 The Vitriturf Playground System is comprised of a base mat consisting of 100% recycled materials mixed with a proprietary polyurethane binder and a wearing course comprised of EPDM rubber and a proprietary polyurethane binder. 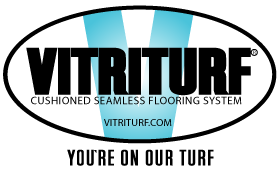 The Vitriturf System is available in many colors and graphic design features. The Vitriturf Binder which is mixed within the base mat and wearing course is the key ingredient. 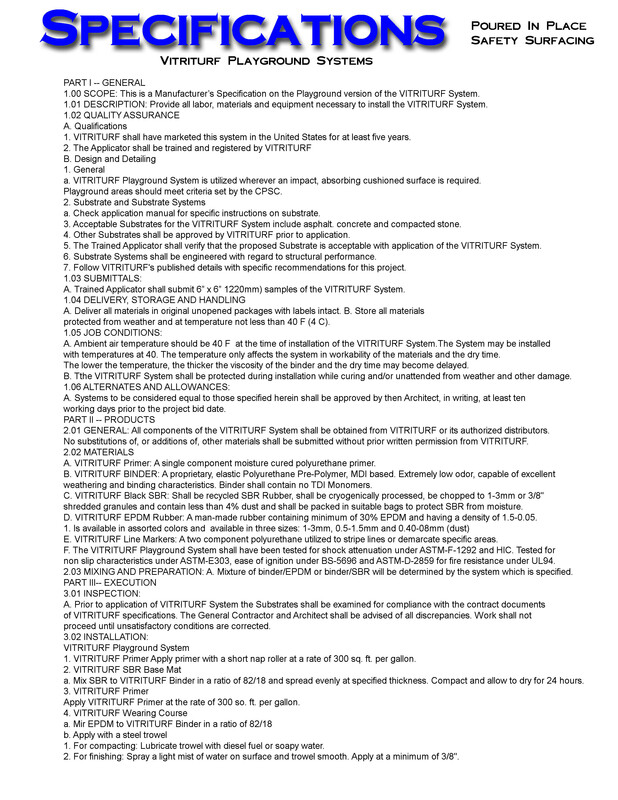 Vitriturf utilizes its own binders specifically designed for the recreation and ahtletic industries. The standard binder is an aromatic polyurethane. The standard binder will amber when exposed to UV rays. Vitriturf prefers to utilize its aliphatic binder where certain colors or designs need remain “color fast”. 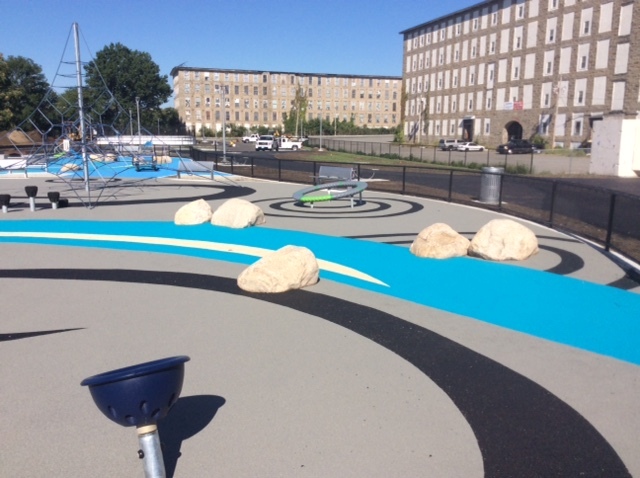 Vitriturf is a unique poured in place safety surfacing system providing a seamless, porous, safe, and aesthetic surfacing. Because the components are mixed on site, the thickness may change due to various playground deck heights and design criterion. 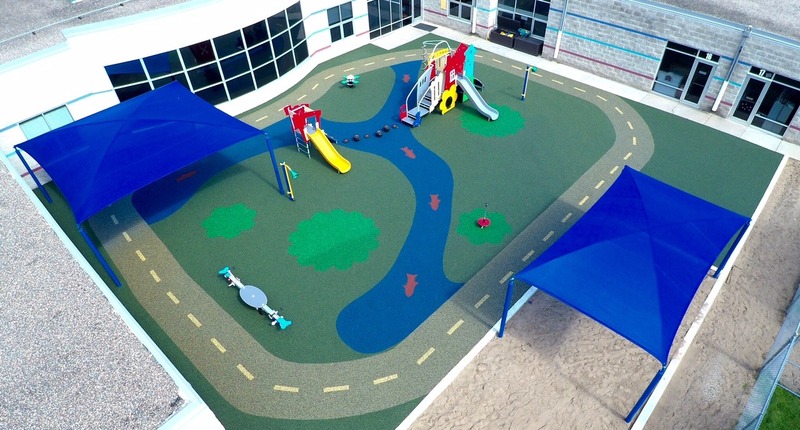 Custom designs and logos may be installed to create the ultimate play environment.